A new page for the new commissioned unit of the JMSDF: DDH-183 Izumo Helicopter Destroyer can be found here. The page includes information about the construction of the ship as well as tactical features which characterized its design. The images also represents the original ship in operations. 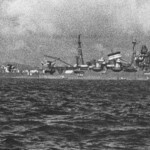 The Fusō-class battleships (扶桑型戦艦 Fusō-gata senkan) is presented here. 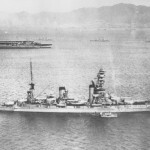 I added new information about the battleships of the imperial Japanese Navy here.